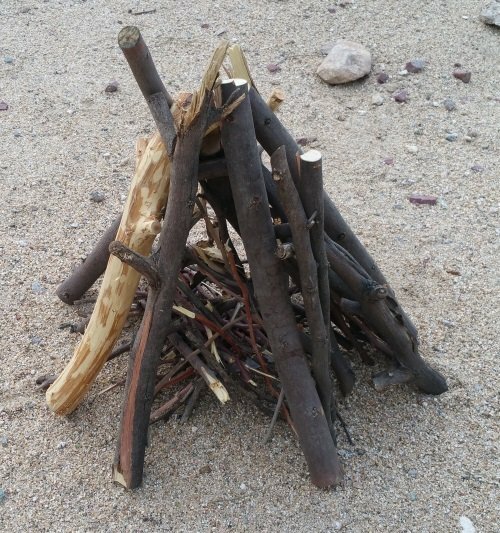 There are all kinds of creative ways to start a fire in an emergency situation. However, a little planning and preparation can save you from the stress of trying to conjure sparks from a battery and a gum wrapper while shivering. The majority of ignition systems are either based on making flames or sparks. There are other options, such as combining chemicals, but this is less common. Having two or three different ignition systems should cover most any realistic emergency scenario. My go-to option is the common Bic lighter. They are compact, lightweight, only cost about a buck each and still work after being forgotten in the bottom of your bag for months. 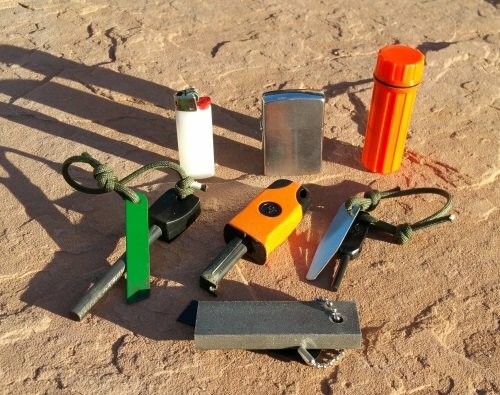 A Zippo lighter or waterproof matches in a container make a good backup, especially if you keep extra fuel and flints for the Zippo handy. One of the many different ferro rod products out there is the most commonly seen spark based backup and a good “just in case things realllly go bad” option. Tinder’s job is simple, just catch on fire easily and burn hot long enough to get things going. Bringing along some of your own is a good way to help make sure that the fire will start up the first time. There is no shortage of store-bought fire starters on the market. However, fatwood, which can be found for free with a little effort, works just as well. Items from around the house, such as dryer lint or steel wool can be pressed into service when needed. Cotton balls dipped in melted paraffin are an easy home-made option. 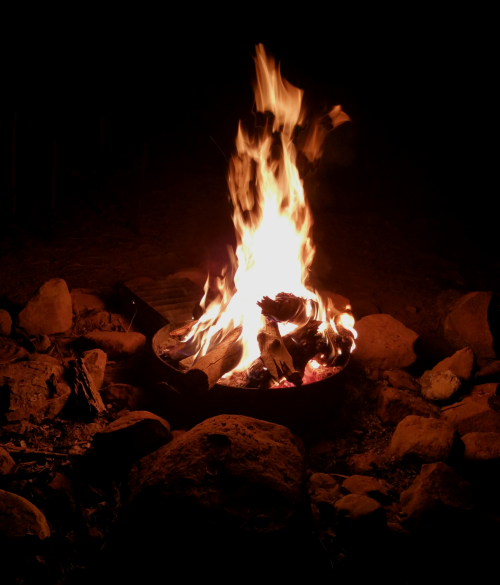 Ignition and tinder are really just the first two steps to easily building a reliable fire. They can be covered fairly well with some rummaging around the house or a quick trip to the store. 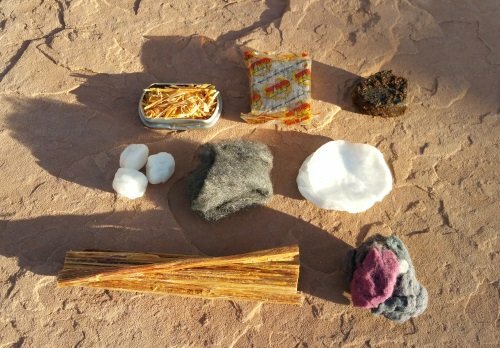 After everyone’s survival kits and bugout bags are stocked with these essentials, then we are ready to Learn The Teepee Fire Lay.